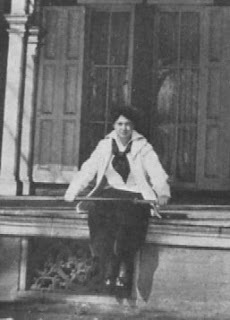 Theodora Culver graduated from Wilson College in 1916 before receiving a Master's degree in history from the University of Pennsylvania. She became a teacher with the American Presbyterian Mission in Peking, China. 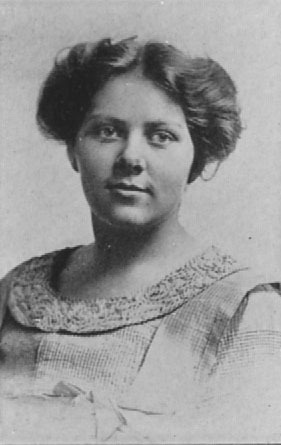 She married Dr. William H. Gleysteen in 1920. 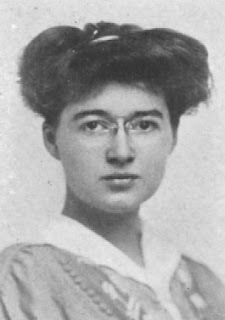 Wilson College Alumnae Quarterly (AQ) May 1927: “Theodora Gleysteen writes that their work has gone on without interruption despite the political chaos in China. Her husband is Principal of Truth Hall, part of the American Presbyterian Mission." AQ August 1936: "Theordora Gleysteen is still busy with her work in the Presbyterian Mission at Peking, teaching English in the Boys’ School, and assisting in the School for Girls, which has established a Self Help Department, in which girls are taught weaving." AQ May 1942: "A letter just received from Theodora Gleysteen tells of the horrors of the war in China, among the people she has grown to admire and love. During the winter she and Tirzah Roberts McCandliss have worked together in relief work, receiving funds from the American Red Cross and the Lord Mayor’s Fund." AQ May 1942. "From the latest news received from Theodora Gleysteen, she and her husband are still at their mission station in Peking." AQ August 1943: "Another of our class “daughters” graduated this year – Anne Gleysteen. We were delighted to have her tell us that she had heard from her parents. They are in a detention camp on the Presbyterian Mission Grounds at Weihsien, Shantung Province, China. They have two of their children with them, and are seemingly comfortable. Theodora had her appendix removed in October, but recovered quickly. She has been employing her time in studying Chinese history." Olympic athlete Eric Liddell, upon whom the film Chariots of Fire was based, was also interned at Wiehsien. Liddell spent much of his time in the camp working with children and the elderly. He died of a brain tumor before the end of the war. AQ May 1946: "We are happy to hear that the Gleysteen family arrived in this country on the “Gripsholm”. In October, 1945, a despairing letter from Lily Young Au, ex-'17 to Theodora Gleysteen reveals the troubles Lily and her family were experiencing in China: "Dear Theodora, On the first of August, if I remember, I wrote you a letter from Yanfar. And on the 11th of the same month, we were glad to learn the Great Peace came at last! About a few weeks later, my husband and my elder son walked three days to Lockcheung, where the leather factory was. He had to keep his eye on the factory and make a report of the loss. My younger son and I moved on to Koogang, where we waited sixteen days for a boat to come back to Canton. I was glad to get away from Yanfar, for we all got sick over there. It was fortunate that we did not starve to death at Yanfar. "But it is out of our expectation that we may be starved to death in Canton, sooner or later. Sorry to say, among the return students, about 60% are out of work, and most of us were "clean sweep" by the Japs. I have been back here for a month or more now. I ran around every day for a job, but everywhere were filled up with workers already. I am disappointed with everything. My only hope is that I hope my boys will be able to get their college education under any circumstances. Since we lost everything we had at Lockcheung, I got disgusted with this world. The conditions seem worse than ever...Much love, Lily W. Young." When the plight of this family was brought to the attention of Wilson students, the Student Council made arrangements to send a gift of $75 to Mrs. Young. Eleanor Logan Thomson lived in Paak-Hock-Tung, Canton beginning in 1928. During WWII she “helped to feed thousands at present in and around Canton with wheat sent by the Red Cross from America.” She spent two years in an internment camp. She was repatriated on the SS Gripsholm in 1944. She returned to China for a short period after the war, then spent 1952 through 1959 in Java, Djarkarta, Indonesia.